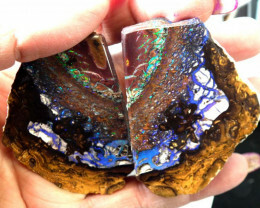 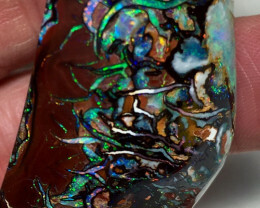 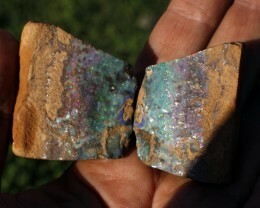 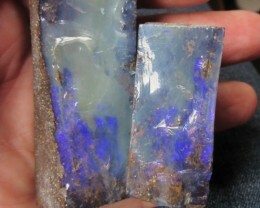 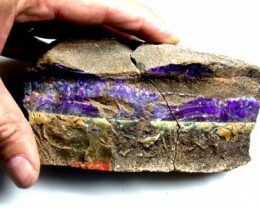 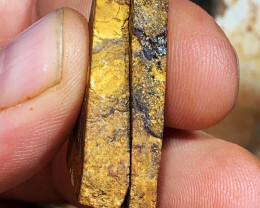 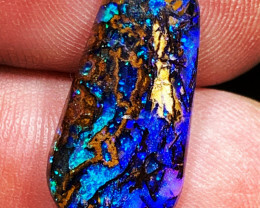 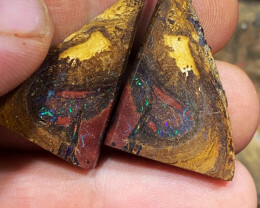 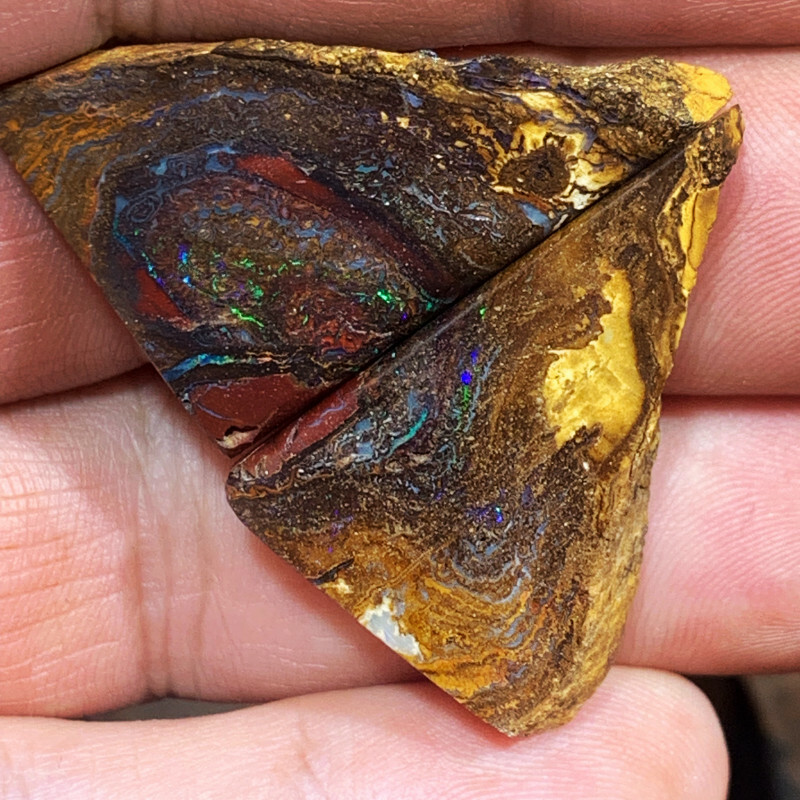 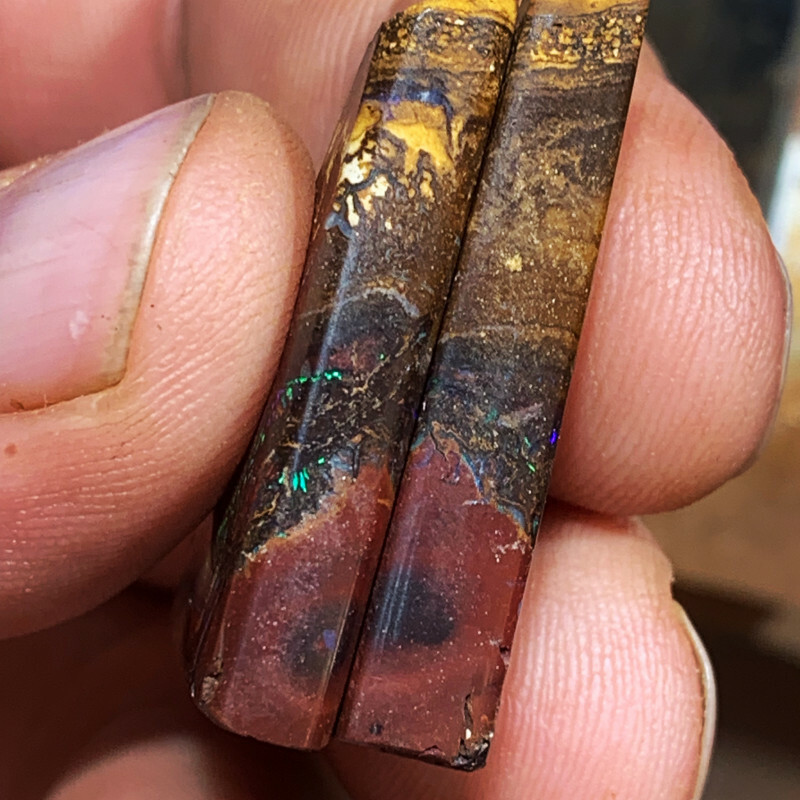 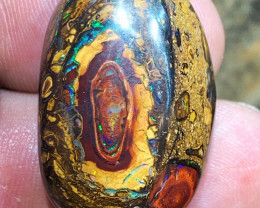 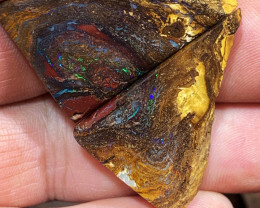 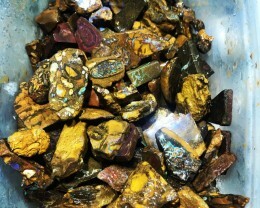 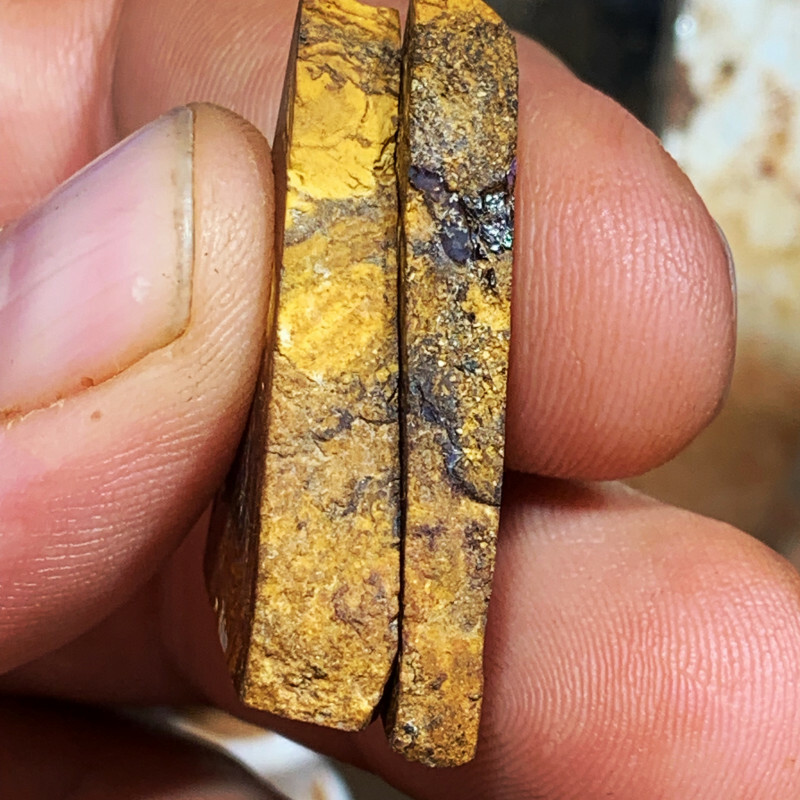 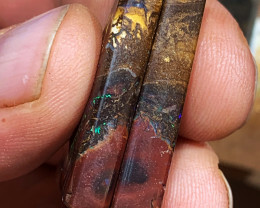 Beautiful Koroit boulder opal split. 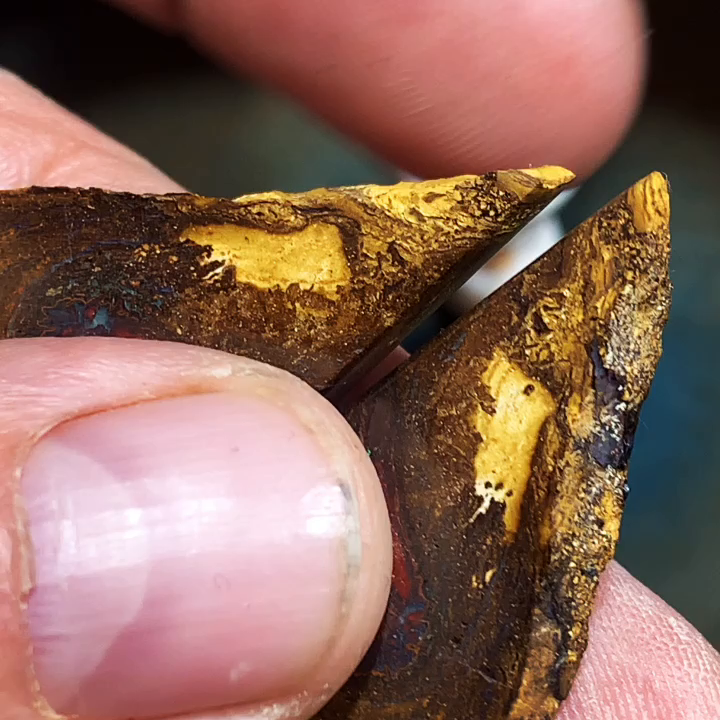 Looks like a mushroom this split. 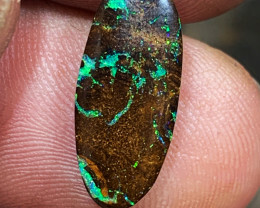 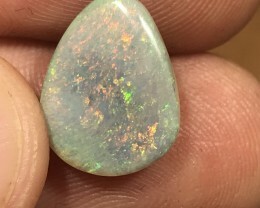 Neat patterns and sparkly rainbow opal. 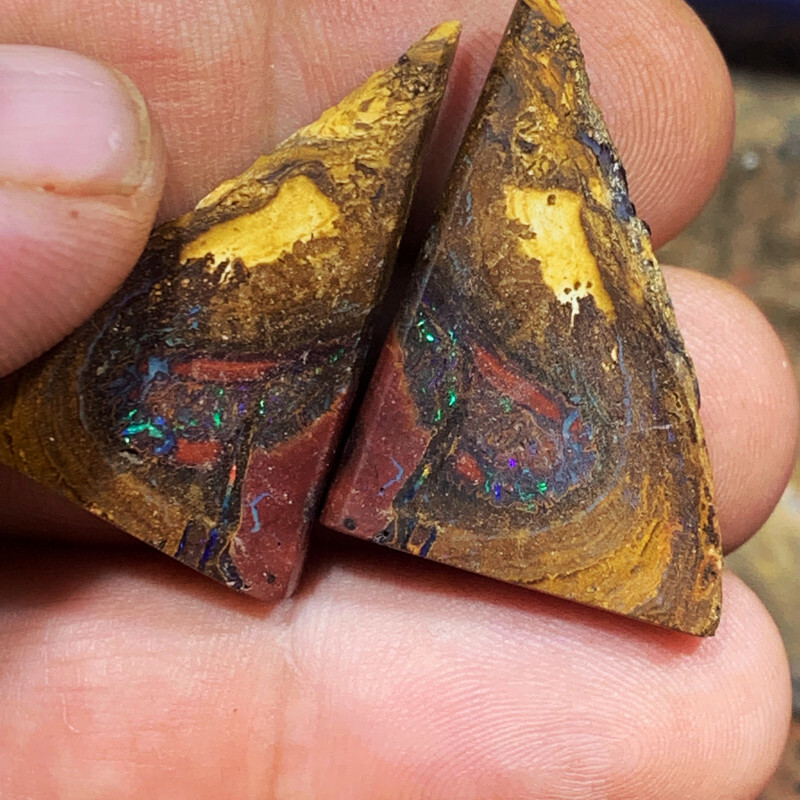 Polished 4 sides rough one side.